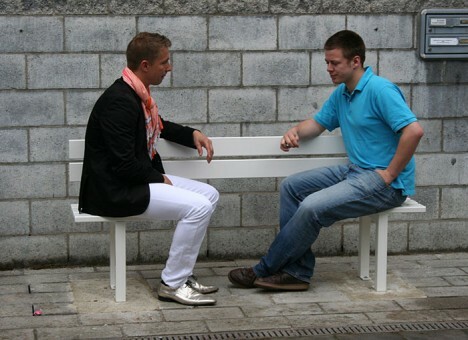 Breaking, bending, twisting and warping wood, this ongoing series of installations fosters new forms of interaction within cities, challenging that most iconic piece civic furniture: the public bench. 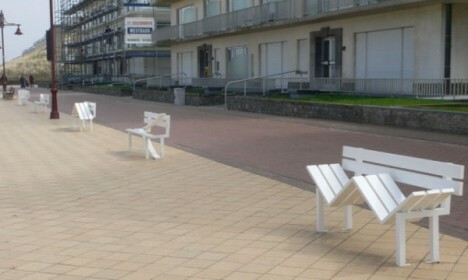 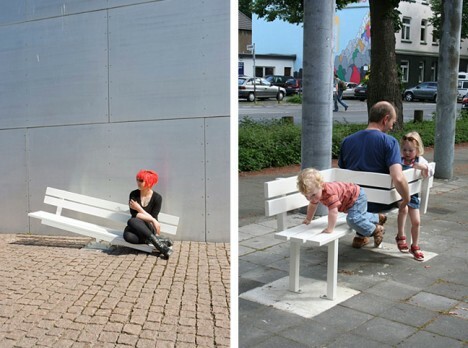 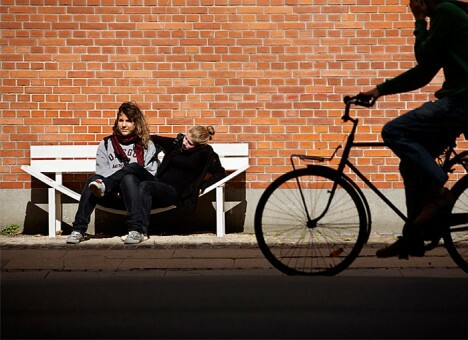 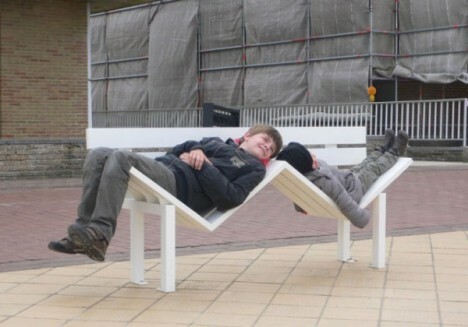 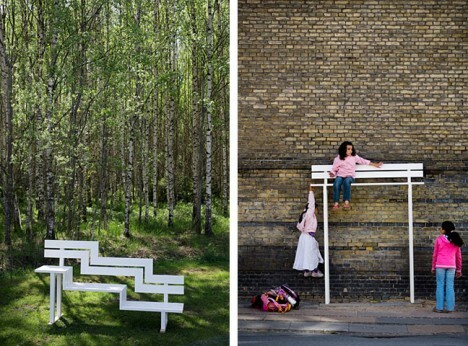 Award-winning artist Jeppe Hein from Copenhagen (currently working in Berlin) has installed his Modified Social Benches at indoor galleries and outside in cities around the world. 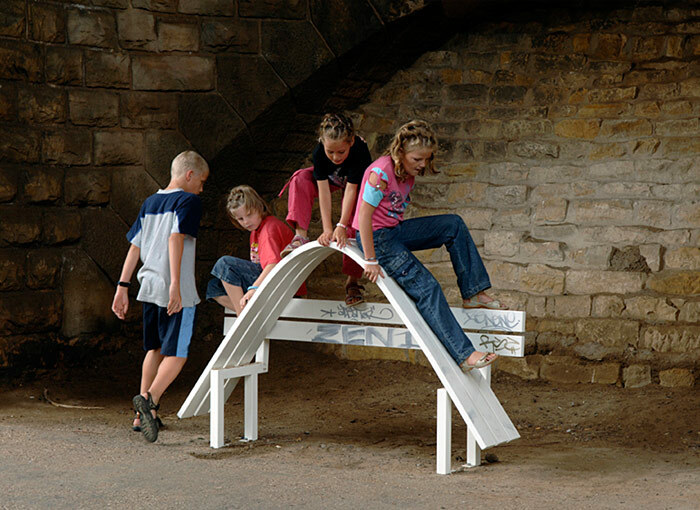 Some engender specific and calculated responses, like sitting and facing your seatmate or climbing to reach an elevated seat suspended above. 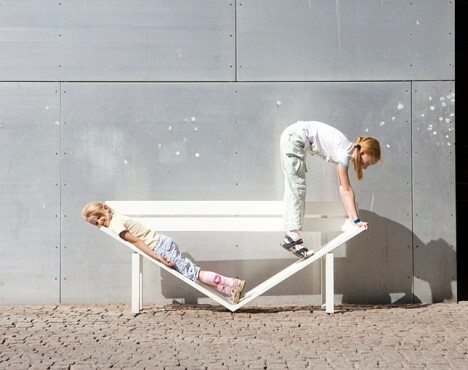 Others are more like puzzles or mysteries – it is up to the user to figure out what to do with them.